This type of moakkil belongs to the satanic group. They are magician devils who are adept in casting magic spells themselves. They are extremely filthy and live in places such as gutters etc where there is a lot of filth around and a bad smell. This is why these mouse moakkil devils also smell like faeces and cast magic spell with all the filth they get in gutters which is quite dangerous. 1 The victim’s body smells of faeces. 2 The victim’s body may smell of urine. 3 The victim may smell of the smell that emanates from a woman’s body when their menstrual cycle is on. 5 Sometimes this devil appears before the victim as a monster mouse- look- alike- man. 1 Firstly the victim should take a bath because this is a dirty type of magic, so the victim needs to be hygienic before starting the amal, so that the Quranic recitation is more effective. 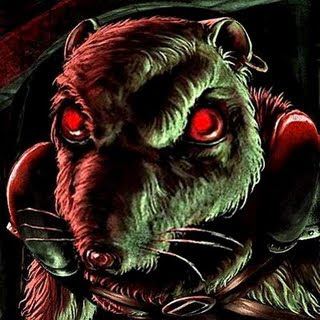 4 The victim should try to sit out in the open as much as he can because these mouse moakkils are very filthy by nature and like living in dark gutters and dinghy corners. So if the victim spends more time in the open, they feel troubled. The victim should try to open their eyes wide in bright surroundings which will be so torturous for these devils that they may run away.